Water quality, recreational land use, and local food systems are high on the list for the region—though these issues only scratch the surface of challenges and opportunities for rural Indiana. The center collaborates across the university with partners who work with Grand Challenge: Prepared for Environmental Change, the Environmental Resilience Institute, and the Ostrom Workshop on efforts that impact rural Indiana. 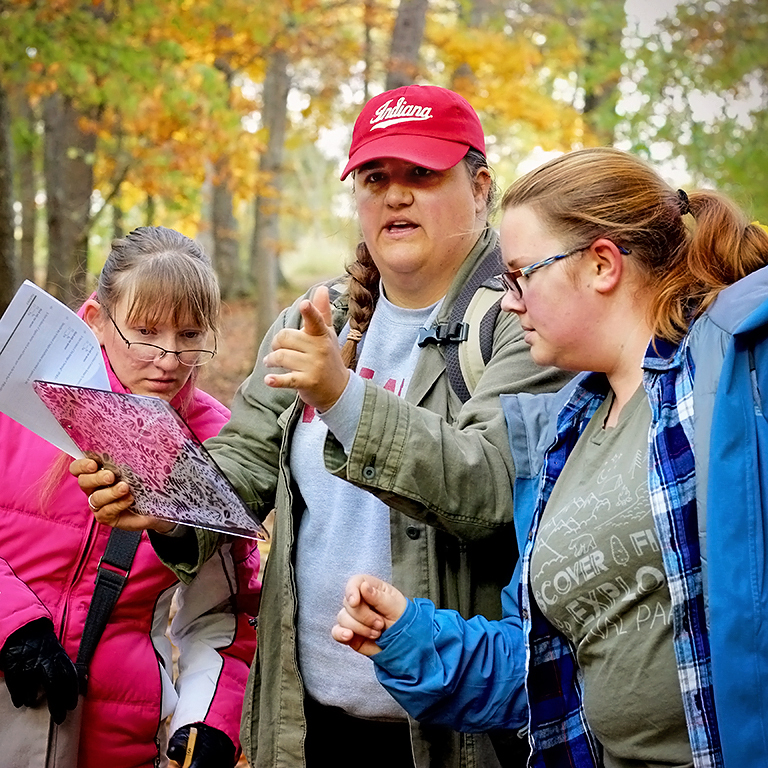 One of the center's initiatives, Sustaining Hoosier Communities, works closely with community partners to connect IU faculty, students, and other resources to address resilience across environmental, economic, and social spheres. Sarah Murphy and her classmates focused on working with Lawrence County leaders to propose ways the Avoca Fish Hatchery can be preserved as a historical and cultural resource. The Indiana Department of Natural Resources decommissioned the hatchery after nearly 100 years of stocking Indiana's waters with fish so Professor Farmer's students worked with Lawrence County to distribute surveys to determine how the community wants to use the site. The Center for Rural Engagement, in collaboration with the Eppley Institute for Parks and Public Lands at Indiana University, will develop a comprehensive inventory and map of public, non-profit, and private conservation or recreation resources, recreation and visitor experience facilities, and recreation programs in the Indiana Uplands region. The project will provide insights into how the Indiana Uplands region can enhance connections between recreation and park assets and elevate the profile of the region as a place for high-quality outdoor recreation opportunities. During listening sessions, community leaders identified recreation and parks resources as a strength and source of pride as well as an area of interest for additional growth and improvement. The inventory will highlight the many resources available in the Indiana Uplands region, and the study will offer insights to the opportunities to improve resources for greater economic resiliency, health, and quality of life for Hoosiers. This project will include Brown, Crawford, Daviess, Dubois, Greene, Lawrence, Martin, Monroe, Orange, Owen, and Washington counties. Researchers and students from the Indiana Geological & Water Survey are conducting water testing, dye tracing, monitoring, and mapping of karst areas in the Indiana Uplands region to provide new data, research, and insight into the proper management and utilization of water resources in the region. As part of this project, IGWS will design and implement an online registry and inventory system for dye traces that will update Indiana Map and notify state departments where such traces occur. Faculty from the School of Public and Environmental Affairs will lead planning for a regional food system including aggregation and distribution points for institutional buyers.